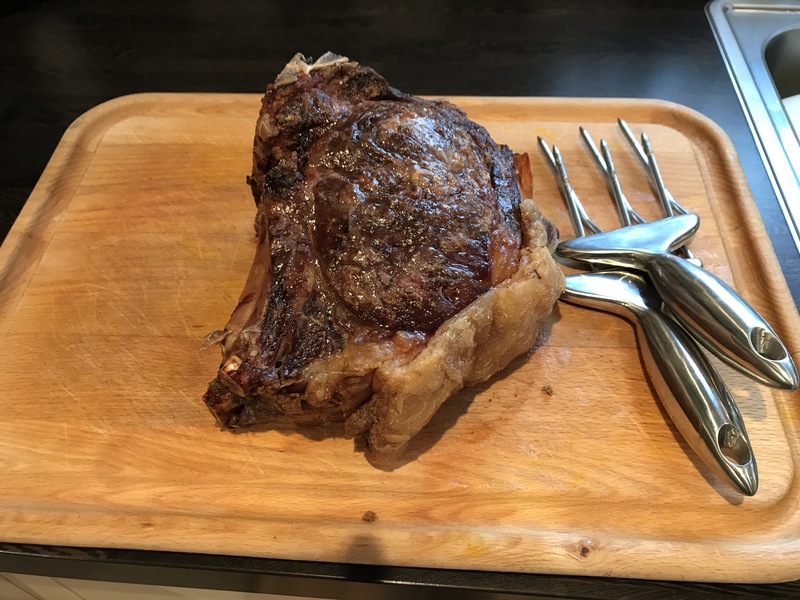 Love your garden and your butcher… the key to good eating! As my butcher is called Rob, it’s clearly love in a fraternal sense! Enough of that though… your local butcher is a resource to be cherished and cared for and of course used as much as you can. 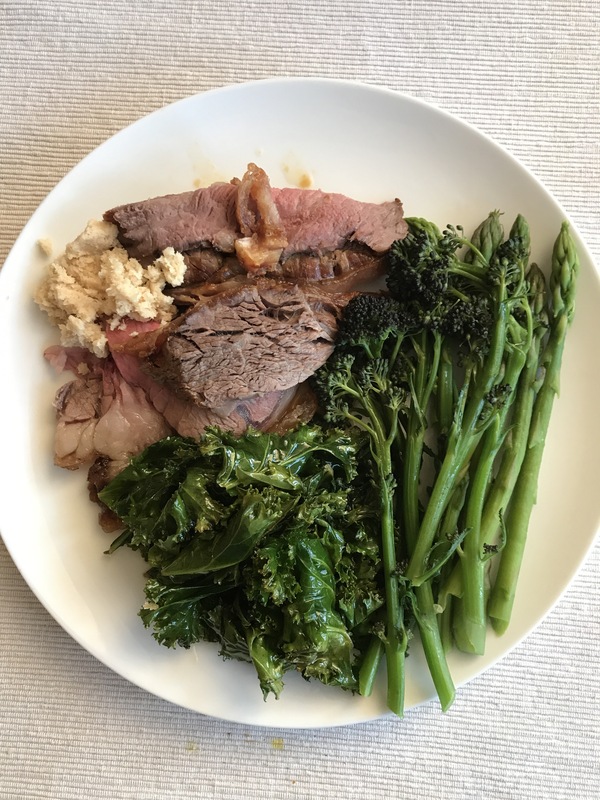 By making friends with your local butcher you can start to ask him or her to source the best grass fed beef, free range pork or compassionately reared poultry and maybe get a good deal on the price too!! 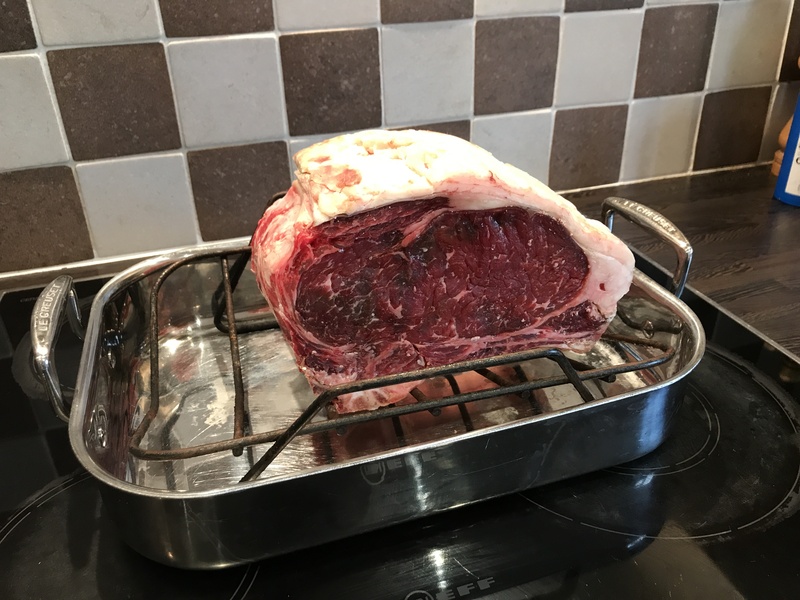 Here is my very competitively priced rib of beef from my local butcher on Ashtead Parade. Now that is a beautiful piece of beef. Look at the marbelling of the fat that will keep it moist as it cooks. And then there is your garden (or allotment) if you are lucky enough to have one. Your own vegetables are a joy and totally organic, if you avoid using chemicals of course. 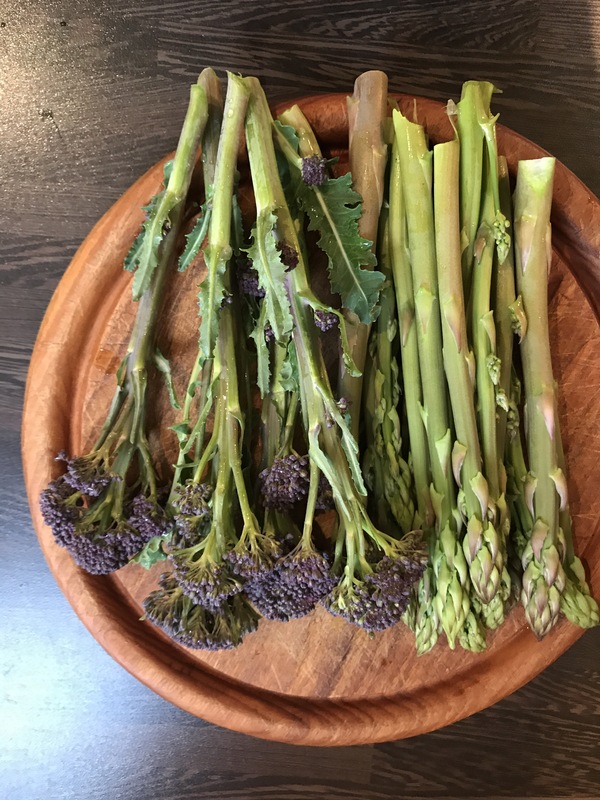 Purple sprouting broccoli and asparagus from my garden. Perfect seasonal food. Add some grated horseradish with cream and it’s paleo eating 101! Love your butcher, love your garden, love your food.